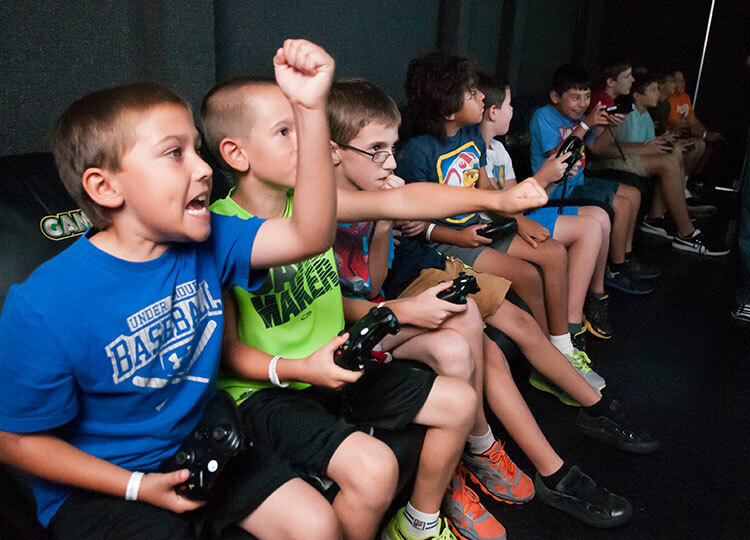 GameTruck can help your team celebrate your seasons success with a mobile video game theater or outdoor laser tag party. GameTruck mobile video game theaters pull right up to your house, field, or park. With a place to park, we can get your team playing the latest video games together in climate-controlled comfort. Tactical laser tag powered by GameTruck is the latest in high tech active fun. We can turn virtually any yard, or park into a challenging laser tag arena. With sophisticated taggers that work up to 300 feet away, your team can make new memories while they celebrate the old. A Game Coach will manage your event, and making it fun for everyone. When it's time for your end of season celebration, GameTruck can deliver excitement where you need it. After a successful season celebrate together by playing video games together. 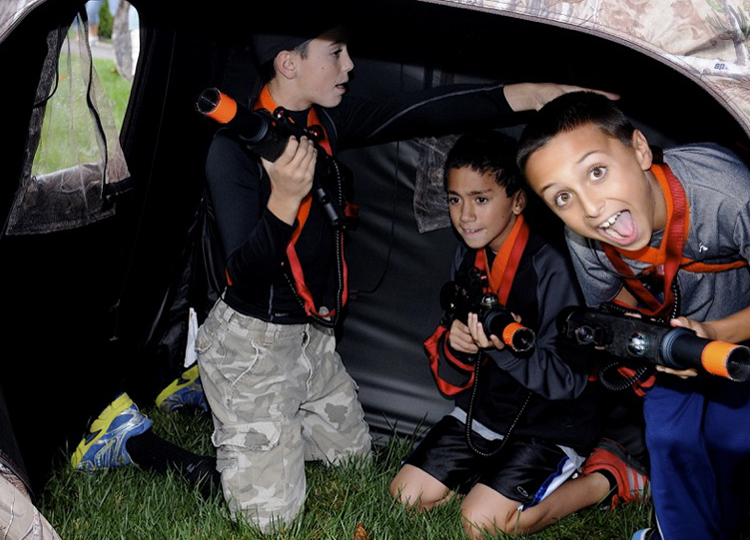 LaserTag powered by GameTruck lets your crew experience a new kind of team work, players, coaches and parents will all enjoy a little outdoor laser tag. 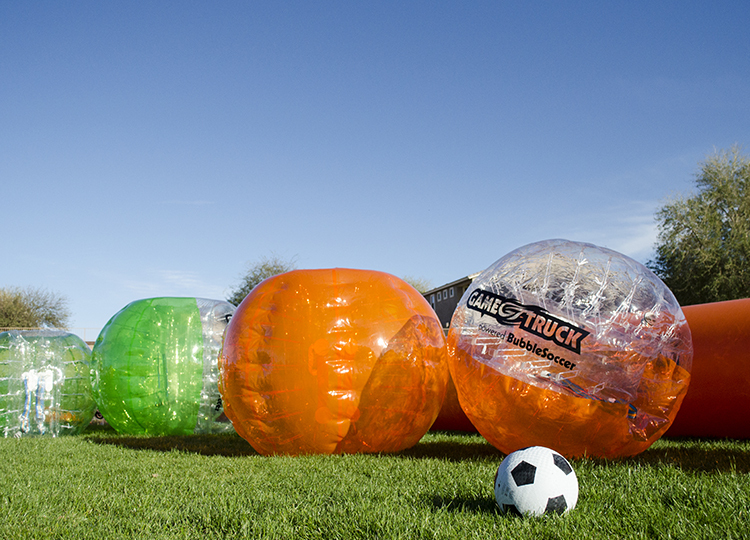 GameTruck powered BubbleSoccer is a new sport that will exhilirate your team with 4 on 4 physically demanding play. As fun to watch as to play, this is the hottest new way to celebrate the end of a season.